Sock hop is 50’s famous hairstyle and it has made its way through a cycle in the 21st century. Some faddish trends pop up after a decade or two in the fashion world and become more popular with fusion and boho style. 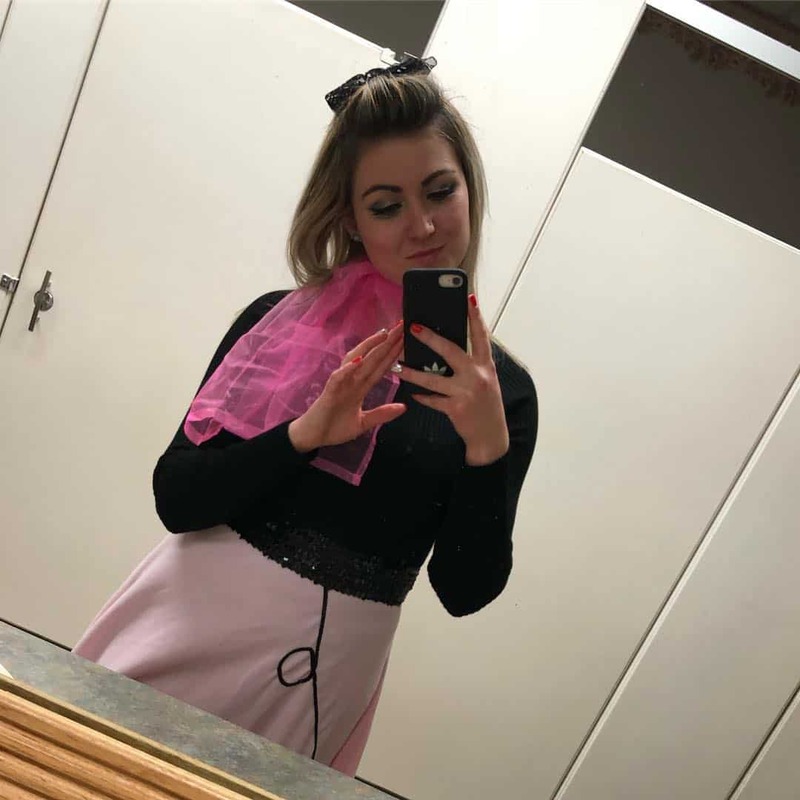 Although the poodle skirt trend may not come back any time soon to pair with it, sock hop hairstyles have made its way into the picture again like a merry go round. We have handpicked 5 classic sock hop hairstyles that will inspire your 50’s chic look to rock the floor. Sock hop hairstyles with poodle skirts combo ruled the fashion world in the 50s. 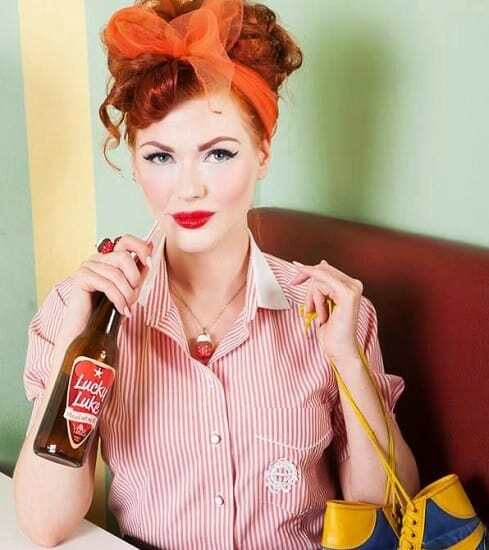 Today’s women are also adapting fusion with ’50s and modern hairstyles and creating a chic look for them. You shouldn’t fall behind and have a look on these sock hop cocktail hairstyles to stand out in any themed party or everyday life. You’ll have a classic 50’s feel, so let’s get started and replicate your preferred look. You never know you may become 2018’s Marilyn Monroe to start with! It is the most graceful sock hop hairstyle with a messy updo. 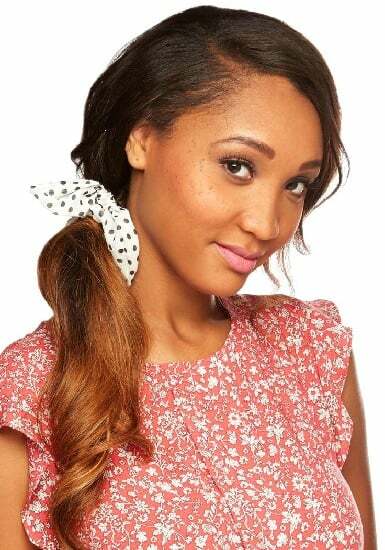 The brownish hair with an orange bow hair tie gives an extra stylish look to women. Ideal For: Sock hop with a messy updo is ideal for the heart and oblong face shape. How to Style: If you have curly hair then, you don’t have to spend a lot of time in styling your hair. For straight hair, the hairs first curled with a curler, which later tied at the top of the head with the help of a bow tie band. If you have short hair, then you can try the given below cute bob sock hop hairstyle. Ideal For: It is ideal for an oval face shape. It does not suit the round face shape. How to Style: It is a very simple and easy to maintain hairstyle. 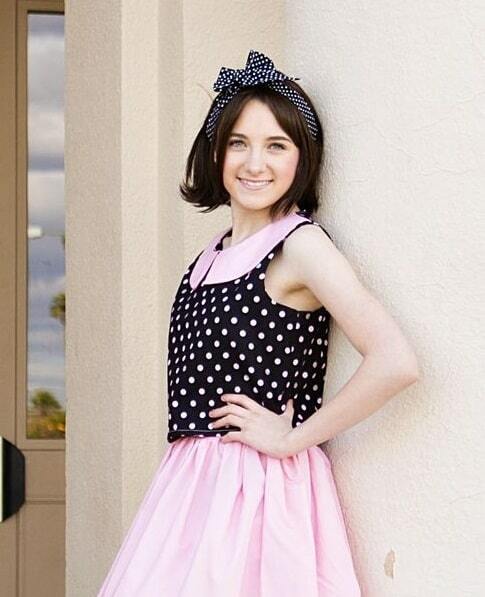 Keep your hair open and wear a white polka dotted bow band by sweeping the bangs on side of the forehead. It is a simple and elegant sock hop hairstyle. It is the most promising hairstyle of the early ’50s. Ideal For: Side ponytail sock hop hairstyle is ideal for every face shape. It is ideal for straight hair. 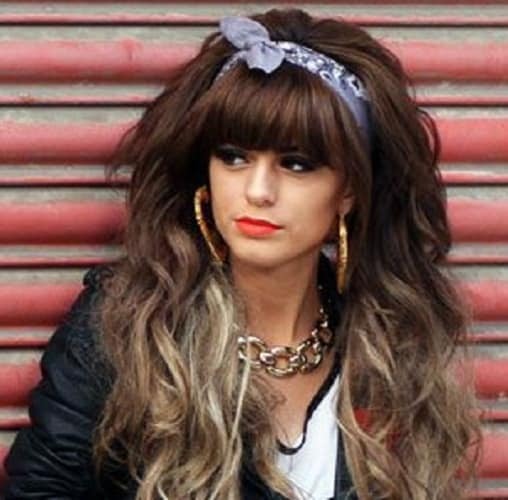 How to Style: There is no hard and fast rule to style a side ponytail. Grab your hair and tie them with an elastic band on the side. Now, tie a polka dotted scarf close to an elastic band in order to hide it. Twist the ends of a ponytail with the help of hands for a neat appearance. You can also dye the below hair to make it look different from the upper part of the head. 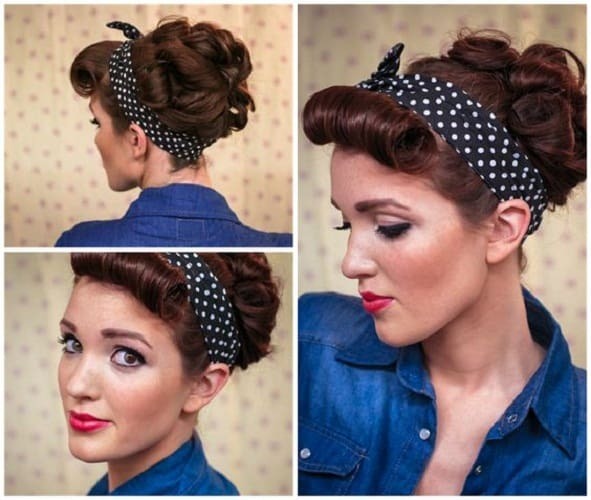 Want to give a stylish and attractive look to simple sock hop hairstyle? Try this innovative sock hop pompadour with a bun for an enchanting and unique look. Ideal For: It is ideal for oblong, oval, and heart face shape. It is most classy sock hop bun hairstyle, admired by everyone since the early ’50s till now. Ideal For: It is ideal for any face shape. It is ideal for long straight hair. How to Style: Gather the long hair and make a twist. Tie the hair with the help of back Bow band into a bun. It is a modish and stylish look of sock hop hairstyles. Ideal For: it is ideal for an oblong face shape, but it is not necessary. 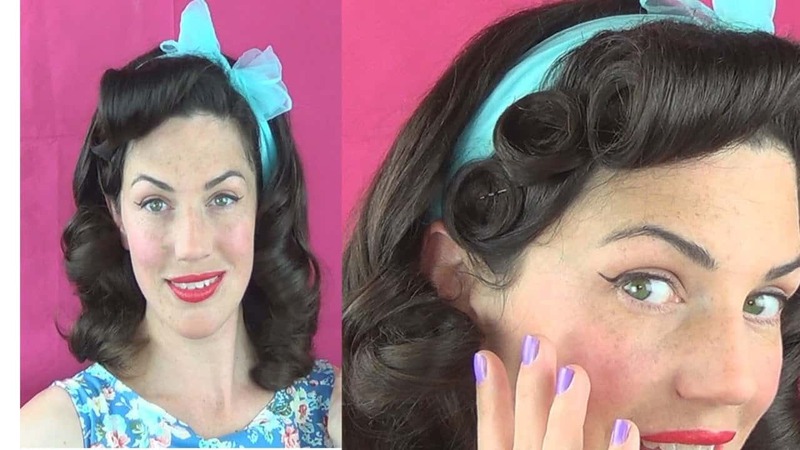 If you have textured hair then, you can try the pin curl sock hop. How to Style it: The straight hair turned into fluffy curls. The major portion of front hair curled inward, which later fixed with a hairspray. The remaining front hair rolled into small curls with bob pins, resembling the flower. It further beautifies with a bow band. If you have long wavy hair then, the given hairstyle is particularly for you. Ideal For: It is ideal for an oval face shape. Want a simple elegant sock hop-inspired look? Try the back comb sock hop hairstyle for a sophisticated look. Ideal For: It is ideal for any face shape. It looks awesome on straight hair. How to Style: It is a single step simple hairstyle. Wear a small headband and push it forward a little. It will give a height and volume to your hair. Hide the headband with the topknot and keep the long hair open. 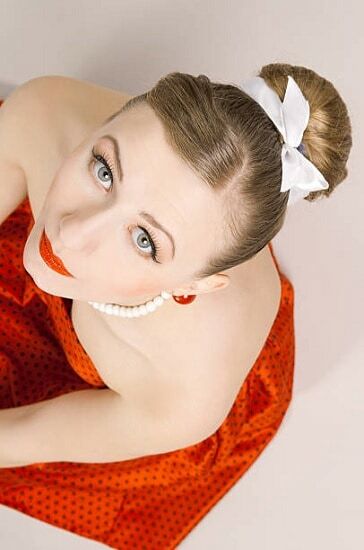 Give a unique and stylish look to your sock hop bun with the front bangs. Ideal For: it is ideal for long hair. It suits oval and oblong face shape. How to Style: The method is same as the bun hairstyle; the only difference is that the forehead covers with front rolled bangs. The bun then, tied with topknot band. 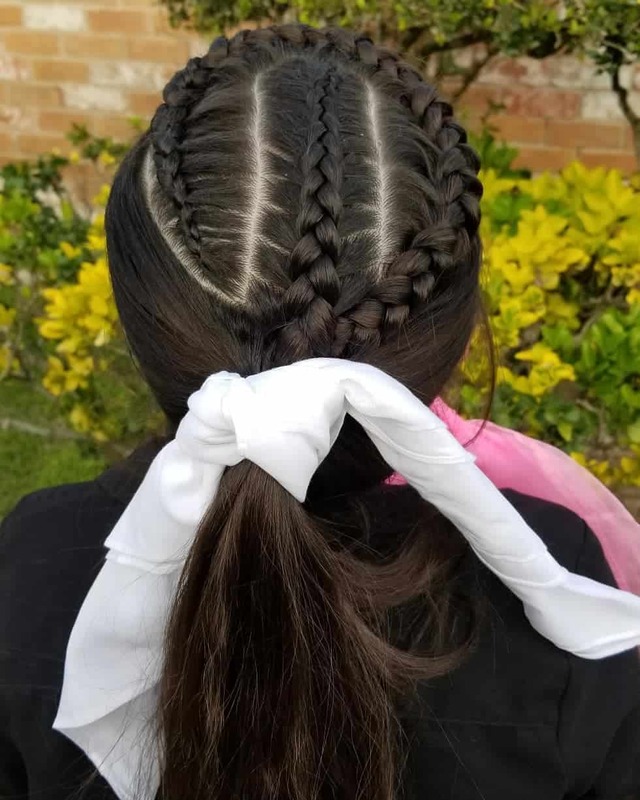 It is an innovative and fascinating sock hop hairstyle. Ideal For: It is ideal for long and textured hair. It suits any face shape. How to Style: The hair divided into three sections, which later turned into beautiful braids. The longer hair tied into a straight ponytail with the help of head scarf. In 1950s sock hop hairstyles were the epitome of glamor and uniqueness. In 2018 it has again made its appearance to rock the boat for fusion. So get yourself a step ahead of this season’s style trend through traveling back in time. Be classy and iconic with sock hop hairstyle and be a paradigm for the fashion world.